For my "semi-random" research tonight, I choose Aloysia Louise Faust, who is my great-great-great grandmother, on my father's side. Her first name means "famous warrior," and her last name means "fist," so you probably didn't want to get on her bad side! 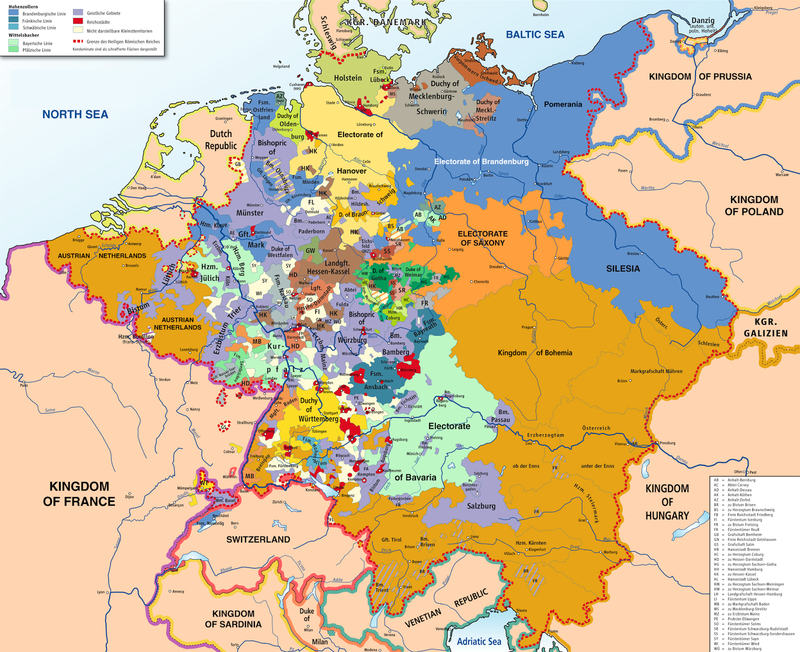 I know for sure that she existed, because a wonderful person digitized the Ortsfamilienbuch (family records from a particular place) for Erkeln, Germany, and there she is as the wife of Conrad Ortmann, my great-great-great grandfather, who was listed as an "Ackermann," or farmer. Here she is listed as "Louise Faust." Now, here's a problem I have -- I seem to have a lot more information about her, but because of one of those rookie mistakes that people make, I haven't recorded the source of this additional information. As you can see, here I have her exact birthdate and birthplace, the date of her marriage to Conrad, and the date of her death. 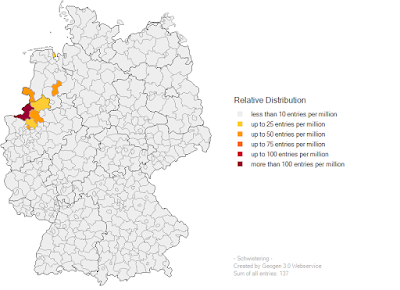 Since this information is not in the Ortsfamilienbuch, where did I get it from? When I look on Ancestry.com, I see exactly the same information in one other family tree, so it's likely that I picked the information up from there. And when I look closely at that family tree, nothing is sourced. I had an email conversation with that German gentleman (his wife is our very distant cousin), but he didn't share his sources with me. 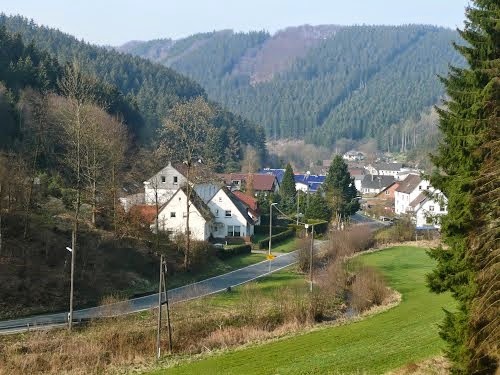 Winterhof, Aloysia and Conrad's hometown. Credit G. Stephanopel. Note to self: Don't do that any more. You have too much experience at this point to fall into that trap! As I look more closely at the information, something leaps out to make me feel as if it isn't correct: The record says Conrad and Aloysia were married in 1815, but their son Conrad was born in 1810. 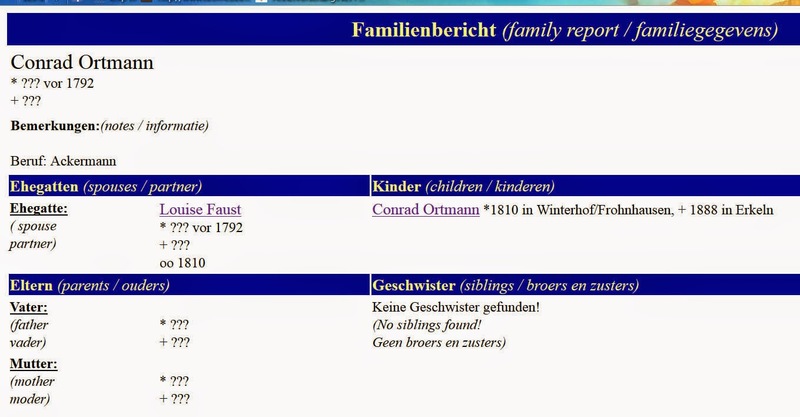 This is unlikely, and the birth of Conrad is well documented in the Ortsfamilienbuch, so I have to figure that the 1815 marriage date is incorrect. I will look a bit further though, and see what I can find. 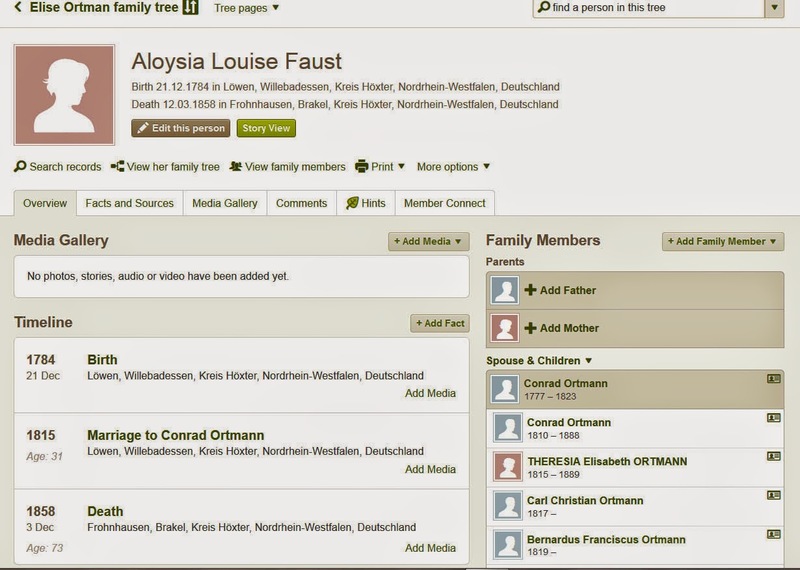 Searching Ancestry for "Aloysia Faust," I find a number of entries about her children's births from the Germany, Select Births and Baptisms, 1558-1898 database, but they're all undated, unfortunately. Still, it's a record of her existence. I find a record of her second marriage in 1823, to Stephen Elkenbusch, but no record of the earlier marriage to Conrad. When I switch to My Heritage, I again find her listed as the mother of several Ortmann children, and I see a listing for her second marriage. In Family Search, I find . . . nothing under either Aloysia or Louise. So, I'm kind of stuck on this ancestor, for the moment. I'd have to write to the Stadtarchive to hope to get any further, or order some microfilms from the Family History Library in Salt Lake City. But we clearly have a great-great-great-grandmother who was born in the 1700s, and that's pretty cool.